See more objects with the color darkgrey darkolivegreen grey or see all the colors for this object. It is dated ca. 1830. Its medium is repoussé and chased raised silver. 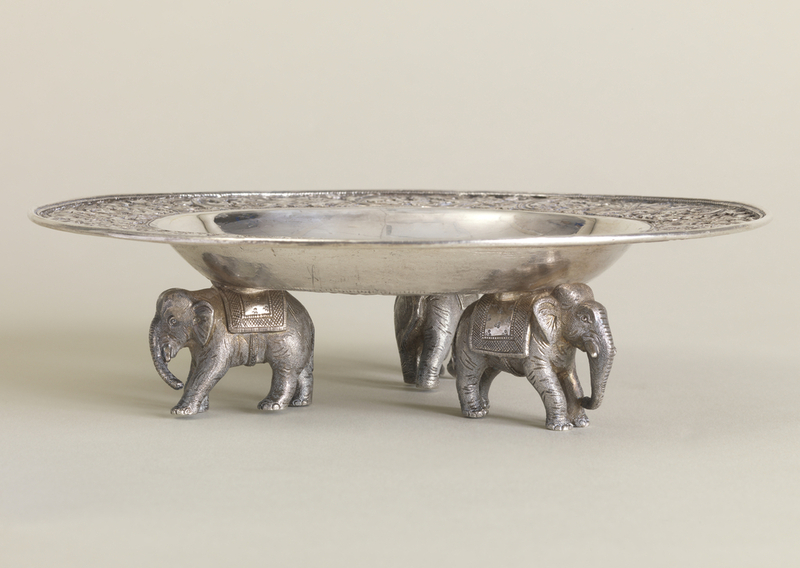 The decoration of this silver tazza shows both British and Indian influences. 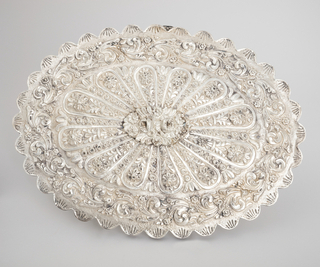 It descended in the de Forest family and was probably collected by de Forest as a good example of Indian colonial silver work.